Each year 38,000 people are reported missing in Australia. While 95 percent of people are found within about a week, some 1,600 long remain missing for 3 months or more. The NMPCC profiles missing person’s cases that have been provided by the State and Territory police, who are each responsible for investigating reported cases in their respective jurisdiction. How to view profiles of Missing Persons. You can also see how to report a sighting or provide information about a Missing Person on the same site. If you have any information about a Missing Person case, please ring 1800 333 000. Whilst you can remain anonymous if you wish, Pathfinder Investigations would like to recommend that you give your details to make it easier for investigators to make follow up inquiries and, if necessary, take a statement so that offenders can be brought to justice. To educate children regarding their personal safety (including abduction). To assist victims of crime, particularly where crime involves children. To remember Daniel with suitable child safety community awareness events. To support the families of Missing Persons particularly where it involves children. If you have a child that has a tendency to wander off or you fear they may be abducted, then this app designed by the Australian Federal Police will enable worried parents, grandparents and other carers to input the child’s description and photo so that, in the worst case scenario, they can quickly pass that information to the local Police so that a physical search can be started straight away. A fantastic aid for people who get lost in remote locations or for dementia patients who find themselves disoriented. 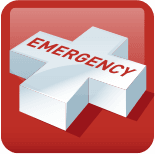 The Emergency+ app is a free app developed by Australia’s emergency services and their Government and industry partners. When contacting the Police about a Missing Person, be clear about any threat to their life or someone else’s, so that they can prioritise their response. If you are unsure what to do, please read Do I call Police or Pathfinder? first.